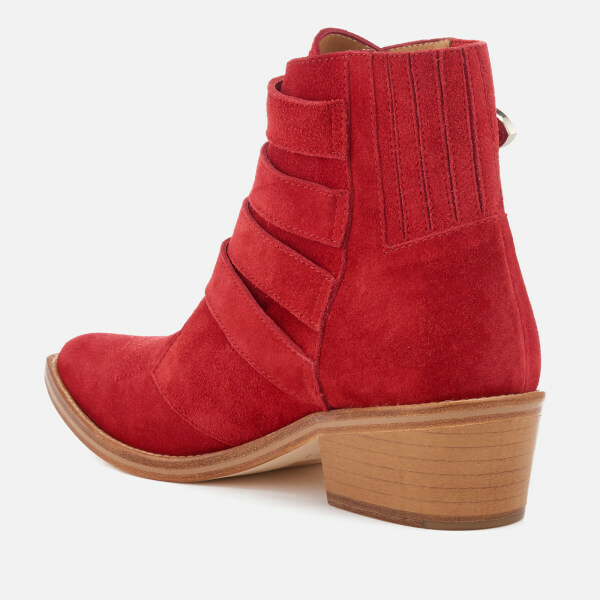 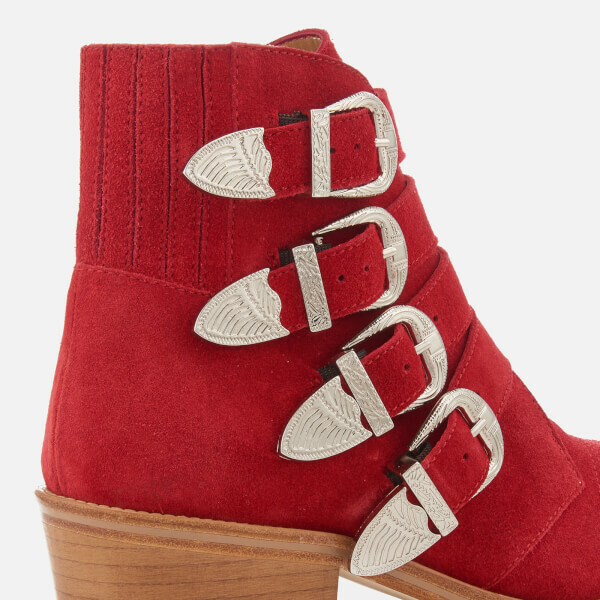 Women’s red suede ankle boots from Toga Pulla. 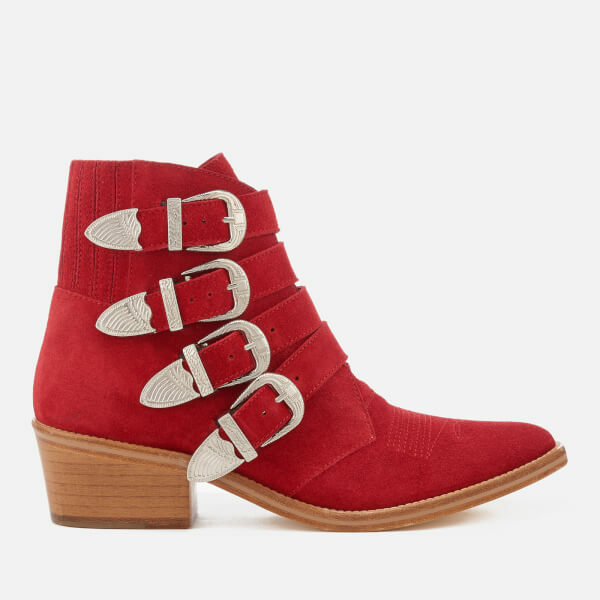 The boots comprise a pointed toe, decorative stitching and an elasticated back panel for easy removal, and are fastened with four straps with decorative silver buckles. 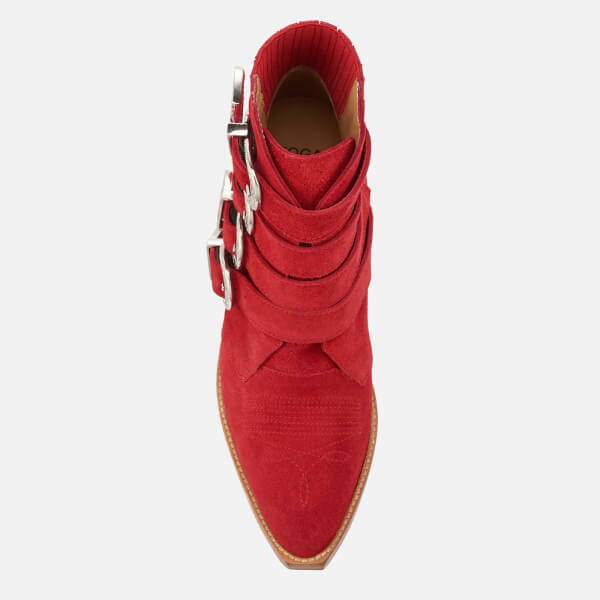 The shoes are set upon a durable leather sole with Cuban heel for maximum comfort and stability.